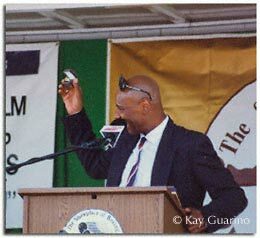 with trainer Goody Petronelli and manager Pat Petronelli. 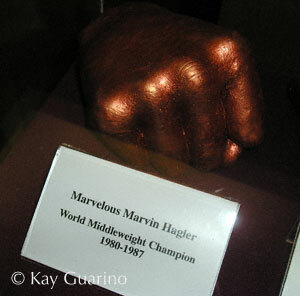 Marvelous next to his fist cast, along with other in Canastota Boxing Hall of Fame Museum. 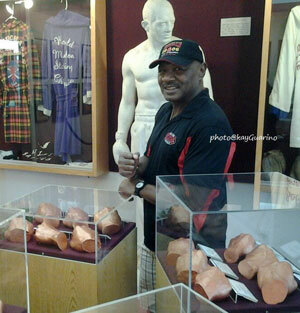 Marvelous next to his championship robe in Canastota Boxing Hall of Fame Museum. 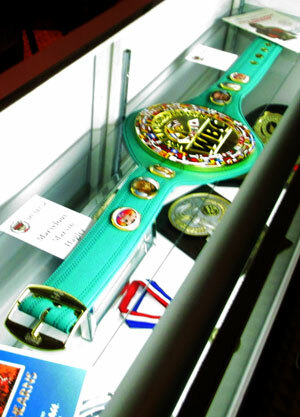 WBC Belt for career archivement on exhibition in the Boxing Museum, Las Vegas. 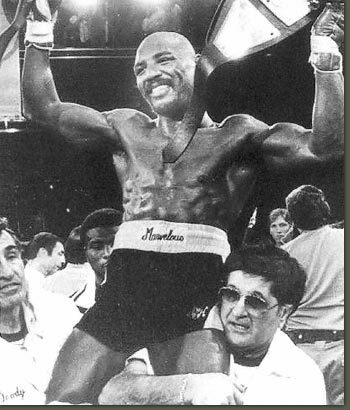 For all the Fans that have been asking about a Marvelous Marvin Hagler Biography. 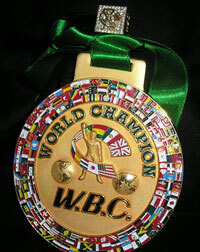 All Biographies that been written to-date are unauthorized. 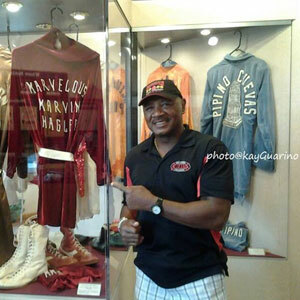 When Marvelous decides to write one, all of his Fans will be the first to know, and it will be the REAL ONE!